Positive Crime Fiction Lover There has been a burning fire of anticipation for the third adventure of Captain Sam Wyndham in colonial Calcutta ... Questions have often been asked about whether Wyndham is a little too enlightened towards the plight of the native population for an educated British man of his time...Recently Mukherjee addressed this, saying Wyndham is a man out of his time so as to avoid the traits we don’t want to see in a protagonist ... What makes these books rise above many others to acclaim is how Mukherjee tells the compelling story of this neglected and fascinating period of Anglo-British history in a cracking rollercoaster style with wit and credibility. Mixed Crime Fiction Lover What Harper does brilliantly is convey the claustrophobia that can be endured despite an endless sky and distant horizons, the stifling domestic tensions, and the small-town rancour, where folk turn on each other ... a mash up of an Agatha Christie country house mystery and a domestic noir with just about every trope flung at it from family violence and secrets, to abusive relationships and sexual assault ... A surprising omission is any aboriginal characters ... While Nathan’s story is compelling you may find the rest of the cast are more one-dimensional. When you discover how Cameron died it may be a little too rushed for you to take in, although some of the signs point you there. Positive Crime Fiction Lover The obsession of the deeply-addicted is well-drawn, with Fabrice’s dependency influencing every facet of his adult life as he rants about the injustice of the smoking ban ... Perhaps something is lost in translation, not because the translator hasn’t done a good job but rather it’s a cultural thing around the French love of the absurd. The ironic humour can be rather wearing, although it does have its highs, and there are lengthy explanations of the chemical effects nicotine has on mind and body. That aside, Smoking Kills is a playful black comedy that will intoxicate and charm those who enjoy a puff of dark Gallic whimsy. Mixed Crime Fiction Lover The downside is there’s no time to build up the tension. But the up is that we are promised a whistle-stop insight into how Reacher was formed from the tough-kid to the tough-guy. 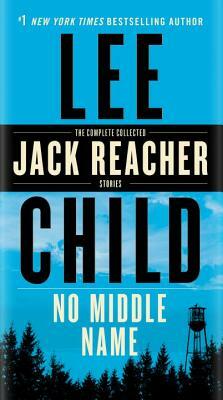 This collection of short stories and novellas wouldn’t be a bad place to start for Reacher virgins ... There are a couple I yawned through. In 'Second Son' in which Reacher, 13, beats up the bigger smelly kid and solves cases that stump the military police, he is verging on the insufferable ... The new novel opening had me hooked. Reacher sticks to his rules and jumps on the first bus out of town. As usual he stops on a whim, this time when he sees a ring in a pawn shop. So far, so predictable. And I’m glad it is so.